﻿ The Nalod Da Nang (Vietnam) | FROM $63 - SAVE ON AGODA! 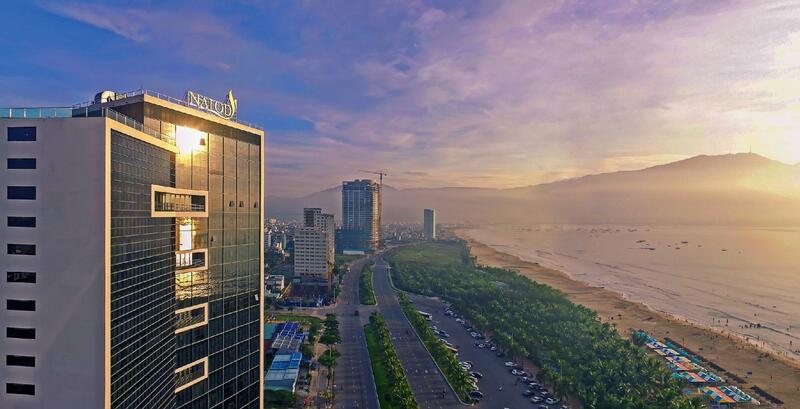 "it is located very close to the beach, the seaview is perfec..."
Have a question for The Nalod Da Nang? "Location and sea view are good." "Will highly recommend friends to stay there." "Overall it was a good experience staying in the hotel, but the beach nearby is full of restaurants and bars making the environment quite noisy." 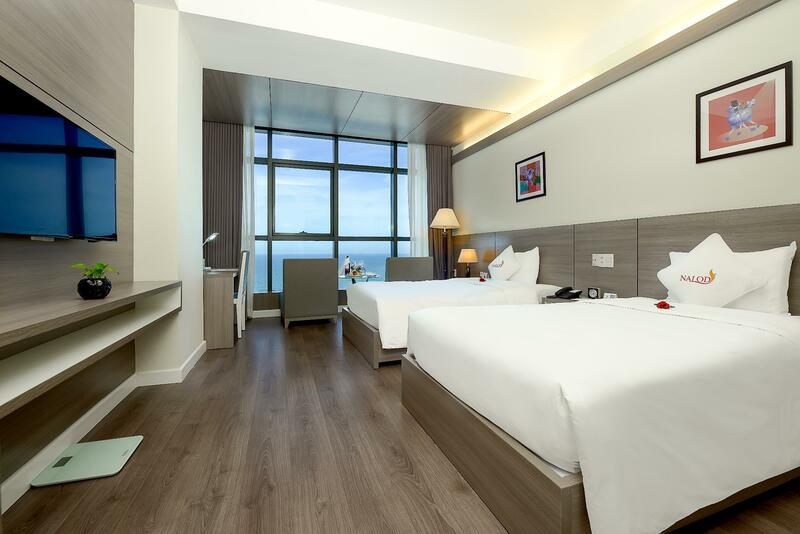 Renovated in 2017, The Nalod Da Nang guarantees guests a pleasant stay whether in Da Nang for business or pleasure. Situated only 5 km from the city center, guests are well located to enjoy the town's attractions and activities. With its convenient location, the property offers easy access to the city's must-see destinations. 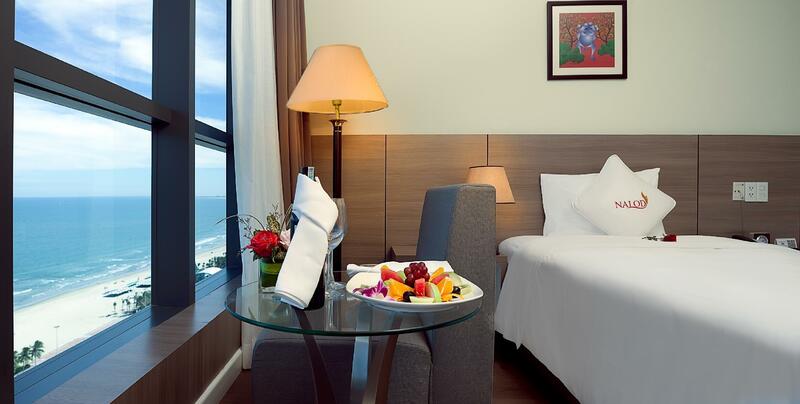 The Nalod Da Nang offers many facilities to enrich your stay in Da Nang. 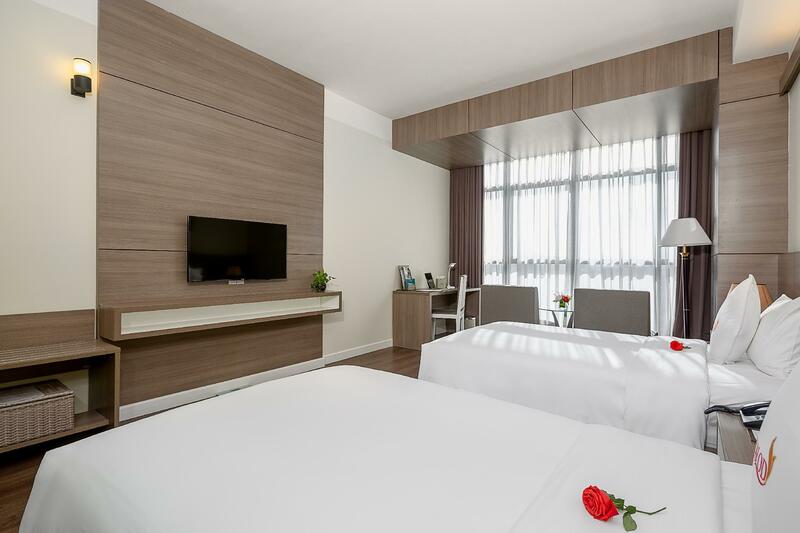 A selection of top-class facilities such as free Wi-Fi in all rooms, 24-hour room service, 24-hour security, daily housekeeping, taxi service can be enjoyed here. All guestrooms feature a variety of comforts. Many even provide flat screen television, bathroom phone, carpeting, clothes rack, complimentary instant coffee to please the most discerning guest. The property offers many unique recreational opportunities such as sauna, outdoor pool, massage, garden. 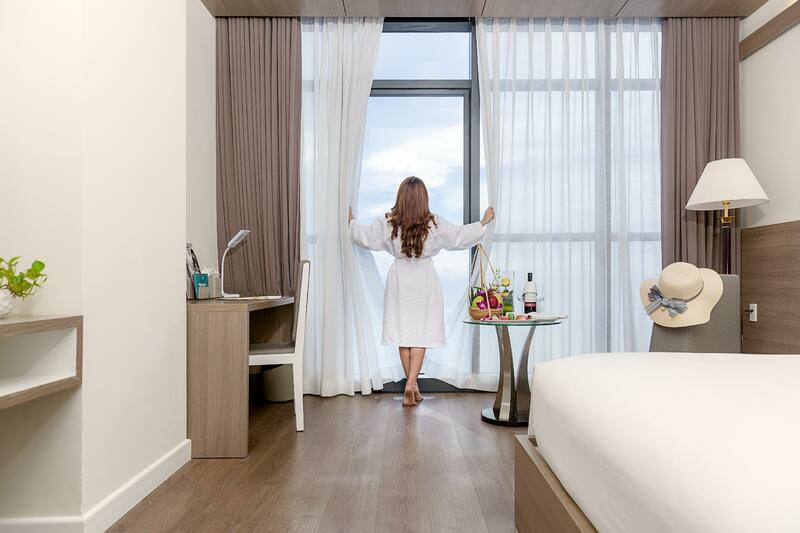 Discover an engaging blend of professional service and a wide array of features at The Nalod Da Nang. right next to the beach, but it is noisy. there is a loud speaker on the breach that played music all day long. Also, the doors slamp in the corridor. Walls are thin. i didnt sleep well. 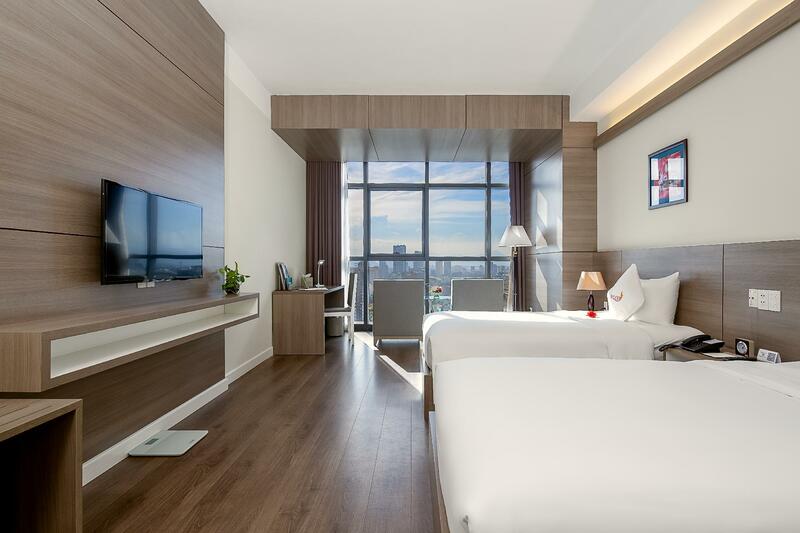 This is a 4-star hotel, but in turn of price, its price is relatively comparable. Because, it is located very close to the beach, the seaview is perfect. In particular, the sunset period, it is very spectacular. All staffs are helpful and enthusiastic. They always smile. Housekeeping is very good. Restaurant is good too. Honest to say, if I have time, I will come again to enjoy a holiday. It is highly recommended. Dear SheungWa, Greeting from The NALOD Da Nang. Thank you for staying at our hotel during your visit to the city. We are very happy you enjoyed your stay and our services. The staff were really encouraged by your kind comment. We look forward to your next visit! NALOD DA NANG TEAM. We paid a little extra for the ocean view and it was well worth it. The service was splendid from the free fruit delivered after check in, the suprisingly good breakfast and they also let us check in a little early midweek. The guard made sure my fiance crossed the road safely, which made me happy. The quality of the pool and pool water was great. Loved it. The view of the room is excellent and amazing! It’s a wonderful thing to wake up with a great sea view! The room is very clean and well organized. The staffs are cheerful and helpful:) Would definitely book this hotel again when i come to Danang ! Dear customer, Warmest greetings from NALOD Da Nang! Thank you for staying at our hotel during your visit to Da Nang City. We are glad you enjoyed your stay. Looking forward to your return. Thank you and best regards. 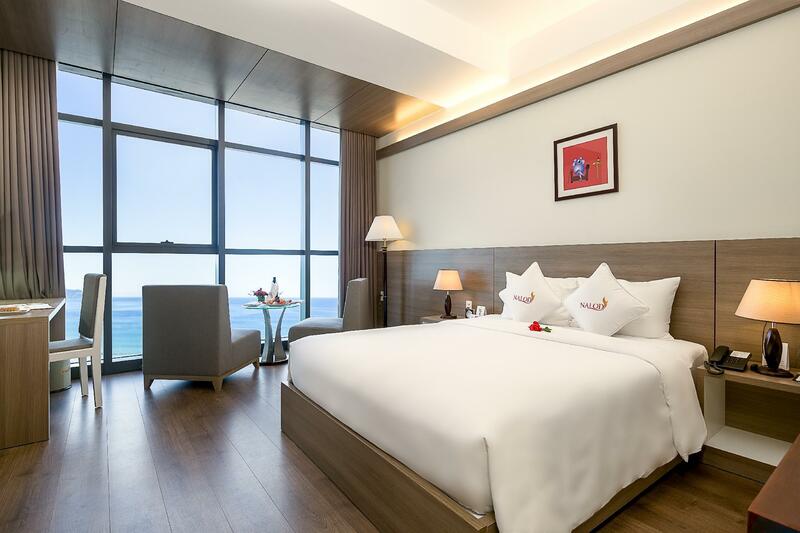 NALOD - National Assembly Lodge is located at the very stunning beach of Danang. That’s why there are many tourists booked in here for the reasons of easy access to the beach, square and city center. Check in and check out are fast and efficient. Nice pool. Oh My God. If you expect a good breakfast, I bet you are unbelievable. Too many Chinese visitors and we don’t have many good choices of foods. Even you have to share the table with them uncomfortably. The room is equipped with the table but it is very true that it’s very poorly and improperly designed without any sockets there. All they put in the bed head. Minibar faces the same if you want to boil the water to make coffee or tea!!!! Bed is comfortable and Toilet is clean and spacious. If you are a business traveler, it’s not a good one to stay. Could be just suitable for holiday makers. Hotel location was superb. Short walking and you can reach the beach. Staff performance was good. Good breakfast menu. Nice view on high floor to the ocean. Overall best hotel in Danang beach. It is really worth to stay. We lived in the room with ocean view so we can enjoy the beach anytime. The staffs were very helpful and nice. Also, there was an exchange service with a reasonable rate. The location is good, hotel is clean with a nice sea view. Hotel staff speaks very limited English, so while they can assist with simple requests, asking for directions or details about local tours takes a bit of effort. Breakfast is great, we had lunch n dinner in Ocean restaurant on our last day of stay. Restaurant service was perfect, they care customer so much and we had a very nice chat with the supervisor Dung. We had to change room on second night 2am due to the noise from next door. Wall is a bit too thin. Swimming pool is very good, good size but no view. Ocean view room is a must, sunrise view and beach view is amazing from the room. Local outdoor restaurant on the left of the hotel was horrified, we had cockcroach walking on our meal. Many korean restaurants around the hotel area. Vinmart is in a shopping mall in 30mins walking distance and Kmart in 20mins. A local store situated behind A la carte hotel, this is the closest for snacks. I have recommened Nalod to two friends for their upcoming DaNang trip. Cong cophe has the best coffee i had in town. Hoi An and Ba Na Hills taxi arranged by hotel reception is perfect. 500k round trip. Must visit. Across the street from the beach. Nice hotel with wonderful staff. Definitely would stay again. Hotel is right in front of my khe beach. Perfect view of the beach from our room. Staffs were friendly and helpful. We received a complimentary birthday cake as well without making any special requests. Only downside is that the walls are slightly thin and we could hear people talking outside from the lift lobby. In all, I'm satisfied and will recommend this hotel!